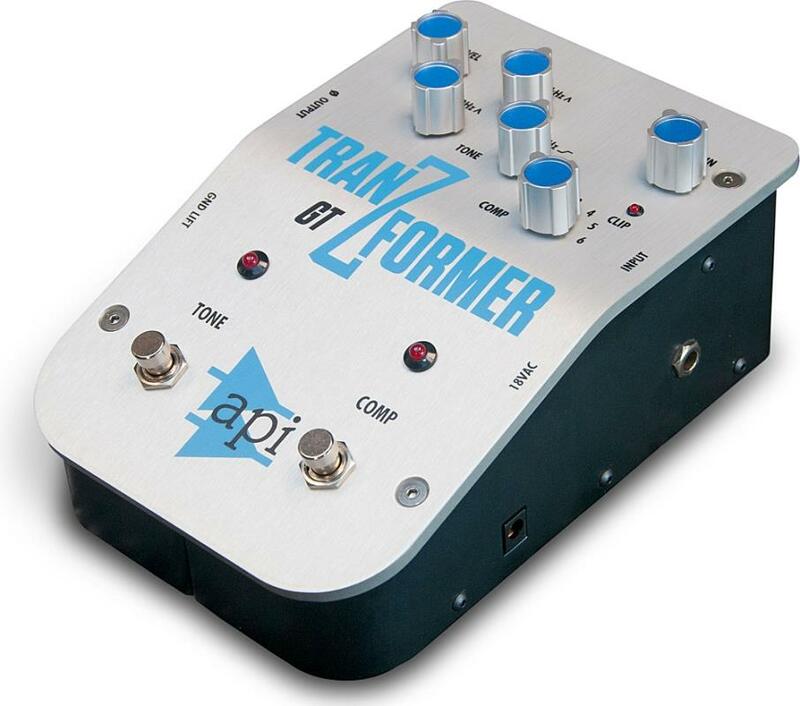 The API TranZformer GT is a multi-function pedal that is designed to easily and affordably bring the world-famous analog sound of API to your guitar. Offering the user an unsurpassed level of sonic control, the TranZformer GT combines an API 525 feedback-type compressor with a guitar-optimized 3 band equalizer, both independently in/out switchable. The unit also features phase invert switches on each output, ground lift, clip indicator and transformer output. Like all API products, the TranZformer GT is built to API's exacting standards and remains true to the design philosophy that has made API the leader in professional analog gear for nearly 50 years.